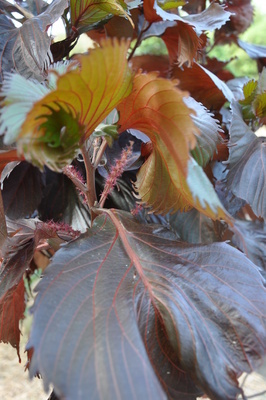 A bushy evergreen shrub with large rounded deep red to almost black leaves with serrated edges. A great colour contrasting plant. Can be used as an accent plant or trimmed into a hedge. Gets best colour when grown in full sun. 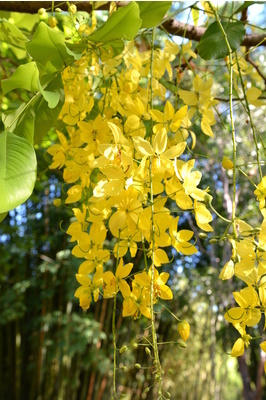 A medium sized semi-deciduous tree which during summer gets an abundance of long cascading yellow flowers which usually get to 30 or 40cm long. A hardy and drought tolerant tree once established.